Norrona's most light weight backpack made for all mountain activities. 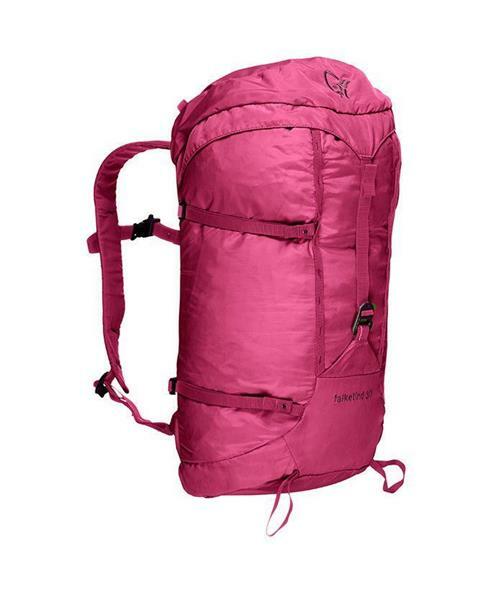 It weighs only 510 gr and you can pack it into the top pocket of your big pack and bring it along. The pack features two ice axe attachments, side compression, fold away light weight hip belt, top lid with outside and inside pocket, one aluminum buckle front closure, daisy chains attachments, and is compatible with drinking system.